【Note: The black TPU cover is a little bit tight in order to provide decent protection, which may influence the button function if not installed properly. And all the button features and cutouts are where they should be, leaving plenty of space around the cutouts for easy connection. 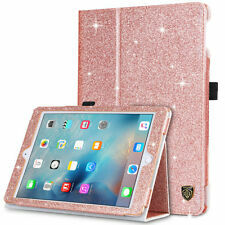 Bling Glitter Diamond Leather Wallet Card Folio Case For iPad mini/Pro/Air/9.7"
BENTOBEN Glitter Luxury Stand Magnet Leather Cover Smart Case For iPad Pro 10.5"
Juicy Couture Glitter Gelli iPad 3 Case iPad 4 SALE!!!!!!!! Tablet iPad Case Book Sleeve Glitter Black / Gray Zip 9" x 11"